This anniversary has slowly been creeping up, and it's been on my mind for several weeks now. Over the past year, we have experienced a few events where we almost lost Evanna and we thought that everything was over – the first time being this day one year ago. You don't forget the phone call from the hospital at 1AM telling that your child is in Cardiac Arrest and the doctor needs you to come immediately. You don't forget that the person on the other end of the phone had to tell you that 3 times before your shocked (and tired) body processed the words that were being said. You don't forget that while it was probably only a minute, it felt like 10 minutes before you could pull yourself together, pick a dirty shirt off the floor and rush down to the parking garage. You don't forget how slow you thought the garage door was opening so you would have a decent cell signal to call your husband who was a city away to tell him what was happening. You don't forget that despite there being absolutely no traffic between the Ronald McDonald House and hospital, for some strange reason, you still obeyed traffic laws and even waited somewhat patiently at the red light despite the circumstance. You don't forget parking illegally in the emerg parking lot and running as fast as you can up to the PCICU. You don't forget bursting through the ICU doors and running around like corner like a mad women to find beds and equipment cleared out of the way and your child's bed surrounded by some 30 people. YOU DON'T FORGET seeing the intensivist you had just met for the first time earlier that day trying his best to intubate your precious baby, while the transport nurse was doing chest compressions. You don't forget staff's eyes staring at you in shock, and for one brief moment you weirdly wondered if they're judging your unkept and greasy hair. You don't forget thinking that this was it – all the tests, procedures and surgeries didn't matter, and your child was going to not make it. You don't forget the strange comfort you felt, like someone had pulled you into a warm embrace and being okay with the outcome, no matter what it was. You don't forget your child's nurse coming over with tears in her eyes to hold your hand and watch as they continued to work tirelessly on your child. Finally, after what seemed like an eternity, you don't forget the transport nurse yelling out loud "I HAVE A HEART BEAT, AND IT'S STRONG!" So many details are etched into my brain from that night one year ago. I don't think about that day too often, because we've had a few other close calls since then, but those memories still exist nonetheless. It was one of our longest nights of my life, but I clung to every word Dr. Aditia said, and was given so much hope when the charge nurse came to update me stating how well her blood gases continued to improve every time they pulled a gas. 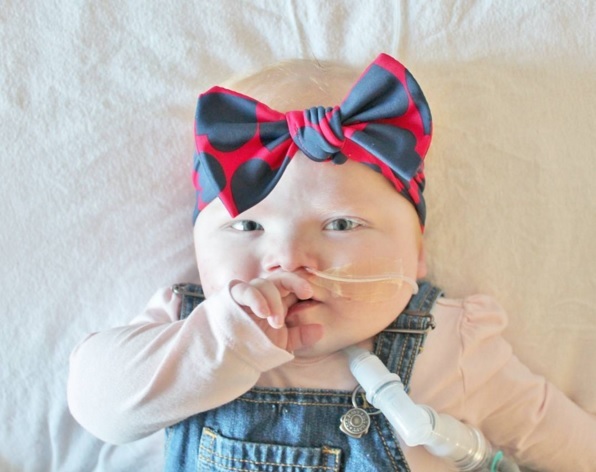 It was the first time she went on ECMO Alert, but it was only a precaution. We still don't really know what caused Evanna to go into Cardiac Arrest, and it truly was unexpected. It was a long night for Nick as he was on shift when it all happened, but thankfully his boss let him leave immediately and he drove for an agonising 3 hours to be at his daughters bedside. The night honestly feels like a lifetime ago, and unfortunately just one of many close calls we've experienced with Evanna. Here we are, an entire year later – same "admission", but practically just days from finally being discharged and taking Evanna home. The week following was an agonising one. We were still under the impression that transferring out of the ICU wasn't too far off in the future, and that hopefully this setback was just a minor one. 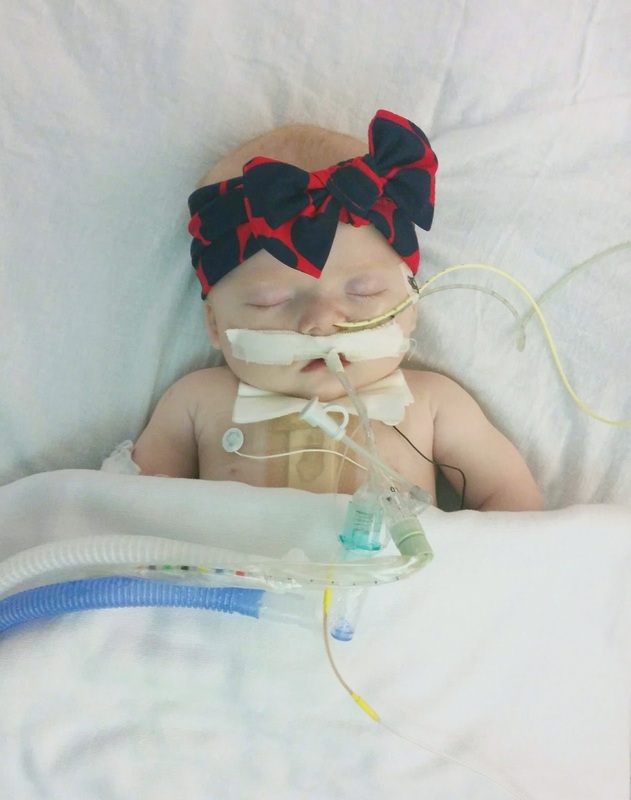 Evanna did undergo another minor surgery a week later and we transferred back to Calgary with high hopes for a successful extubation. I get comments all the time from people who say they "can't imagine such a long hospital admission", but in all honesty – it was those first few months that were the hardest and most agonising. Hospital life was still so fresh and new to us at the time, and we hadn't planned on it continuing on the way it did. However, as weeks and months continued to pass us by, it became our "new normal" and we kind of grew use to our new life. I am SO glad that this chapter is finally coming to an end – we still have an incredibly long ways to go in Evanna's recovery, but this will be such a huge leap! While I need to do an MAJOR blog update (which I’m working on! ), today’s milestone definitely deserves a post of it’s own! Today, Nick and I were able to take Evanna off unit UNACCOMPANIED (meaning by ourselves without a nurse or Respiratory Therapist walking behind us) and enjoy our new found freedom. We got her ready in the stroller with all of her equipment, and once an RT checked it everything over, we were sent on our way. This is the first time that Nick and I have ever had alone time with our daughter since her first surgery last October outside a hospital room. Yes we had to stay within hospital walls, but this is one huge step towards going home! I’m hoping and will be pushing for a day pass in the next several weeks, and hopefully we can be discharged soon after. This actually brings me to an incredibly important topic. The final hurdle that we must cross before bringing Evanna home will be getting homecare set up and having night nurses trained and in place. Now that we have a tentative discharge timeframe, we can finally hit the ground running and hire staff to watch Evanna at night. So if you live in Calgary and are a LOCAL FOLLOWER, we need your help spreading the word. I will be doing a more formal post on our IG and FB accounts with further details on Monday, but the faster we can secure and train people, the faster we can go home! Anyways, for your viewing pleasure, here are some photos of todays walk!